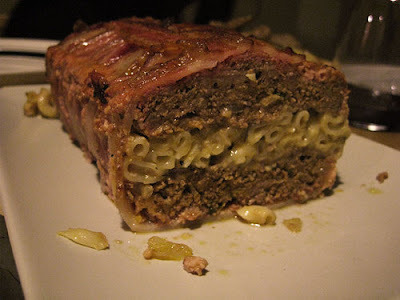 Bacon-Wrapped Meatloaf With A Layer Of Mac And Cheese. This website is delicious. Good for the heart.